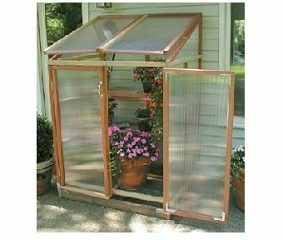 Great for gardeners with limited space but that need more than a cold frame. The Patio GardenHouse includes 4 adjustable benches to give you flexibility and room to grow many different plants. The Patio GardenHouse can be easily moved and is a convenient size for use on a patio or deck.